Designing schools and daycares with adequate shading, easy access to water, and attention to best practices in safe play is a solid first step. Additionally, misting systems can be included in designs to serve as an effective and efficient means to cool outdoor spaces during the warmer seasons and peak hours of the day. The process is this. Operating at pressures of 1000 psi+ Koolfog produces micron-sized water droplets that, while evaporating and turning to vapor, removes heat from the air, cooling the surrounding area. The dry fog produced by a Koolfog system reduces outdoor temperatures by as much as 35 degrees Fahrenheit, which makes even 100+ degree days comfortable for children. 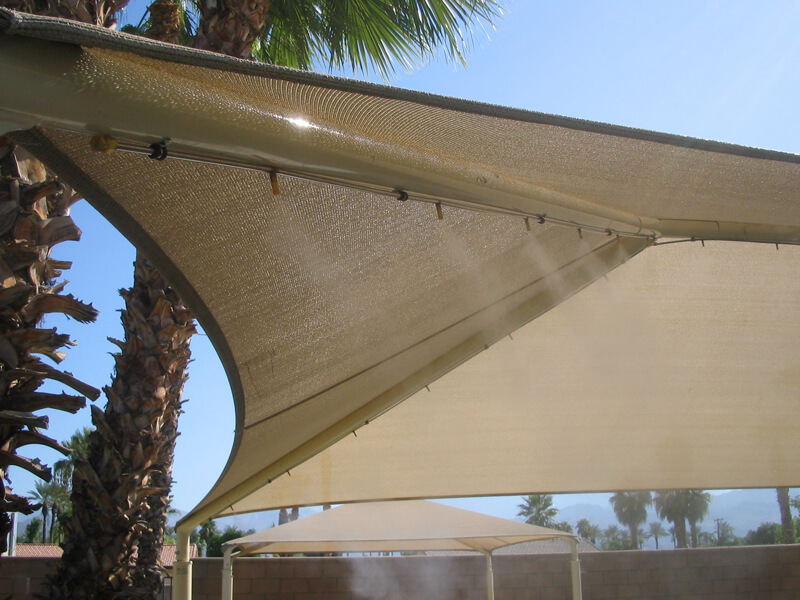 Targeting lunch and play areas, Koolfog systems can be integrated to overhead structures or shade systems to provide a cooling mist that flash evaporates and drops temperatures significantly in each space. Koolfog’s dry mist leaves no wet residue behind, so students stay dry and cool during lunch breaks and recess. In play areas where no overhead structures exist, play-inspired misting poles can be used incorporating cooling directly into playground design. Misting poles are offered in varying colors and sizes depending on design requirements.